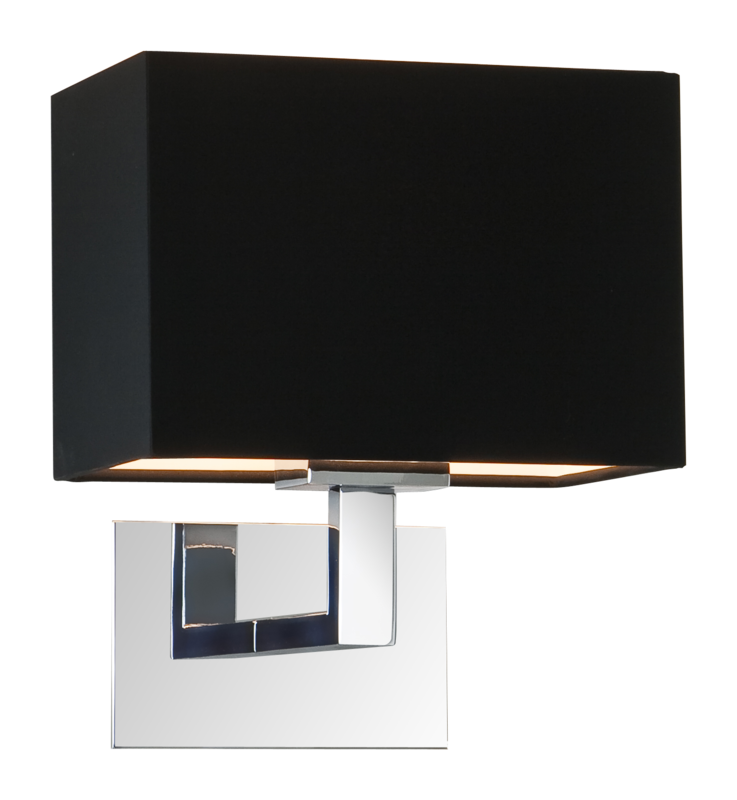 Undeniably modern and captivatingly stylish, this uniquely designed chrome and black fabric wall lamp is remarkably practical while presenting a level of style that is unparalleled in modern wall lamps. The polished chrome base protrudes slightly from the wall, providing the ideal resting place for the black lamp to rest. 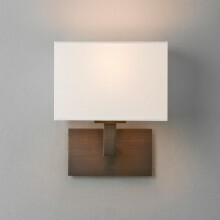 With top and bottom illumination, the lamp provides more than adequate lighting. The black and chrome combination provides the versatility that makes this wall lamp a sure fit in any contemporary restroom, hallway, office or waiting area.